All hats are adult small-medium size unless labeled otherwise. If you'd like to place a custom order please fill out the contact form at the bottom of the page. I'm moving to the Orlando area and if you, a friend, or a group needs crochet lessons I'd love to teach you! I can teach the basics all the way up to intermediate crochet projects. I'll work with you to create projects, improve techniques, learn to navigate the online world of crochet, and even help you design your own crochet work! I charge between $7-10 an hour. I'd love to share my passion for crochet with you via lessons and/or workshops! Send me an e-mail at lizz2034@gmail.com or fill out the contact form below to set things up! Embroidered button detail, pullover, wavy stripes. Soft and sturdy material with a detachable flower for two different looks. 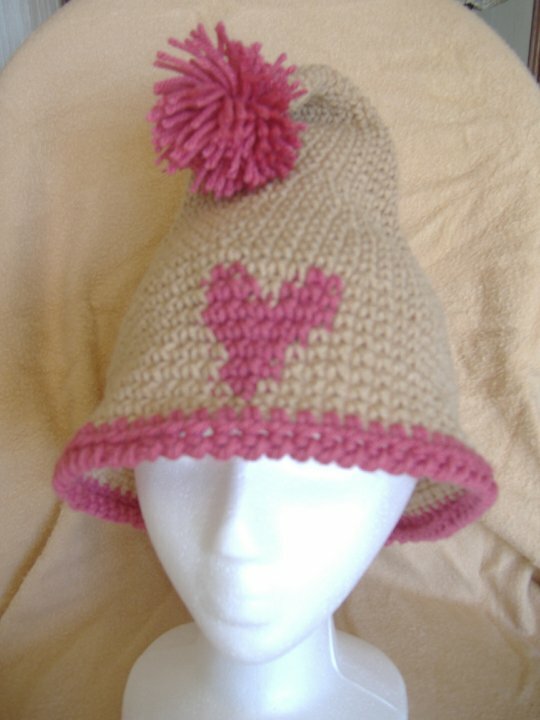 The hat in the picture is very large, so if you want a smaller one, you can place a custom order. 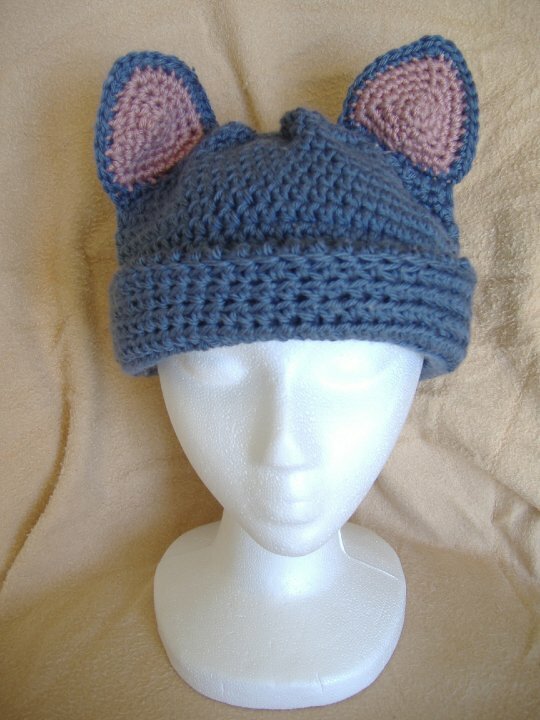 You'll look so cute in this floppy tailed, elf-like hat! The flower is detachable via a safety pin. 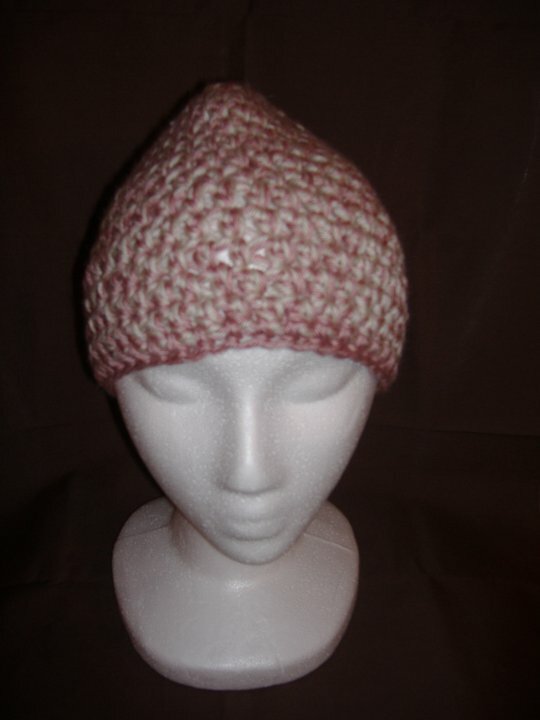 Snug Beanie perfect for the cold and for chemo patients. This was made with cancer patients in mind. Small adult in size. "Blue & Yellow Rasta Tam"
Approximately 4"x4" when standing with ears. They even have little feet and tails! Sturdy material. 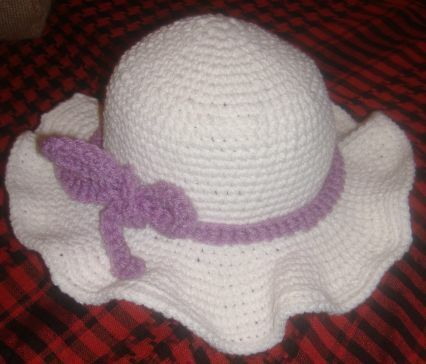 Hat can be purchased with or without ribbon or other accessories (flowers, long ribbon). Please specify what you'd like in a message. The first accessory is free and extra accessories are $1.00 each. Sturdy material. Hat can be purchased with or w/o flower or other accessories. Please specify what you'd like in a message. The first accessory is free and extra accessories are $1.00 each. Soft & floppy hat with sturdy brim for a tight fit around head. 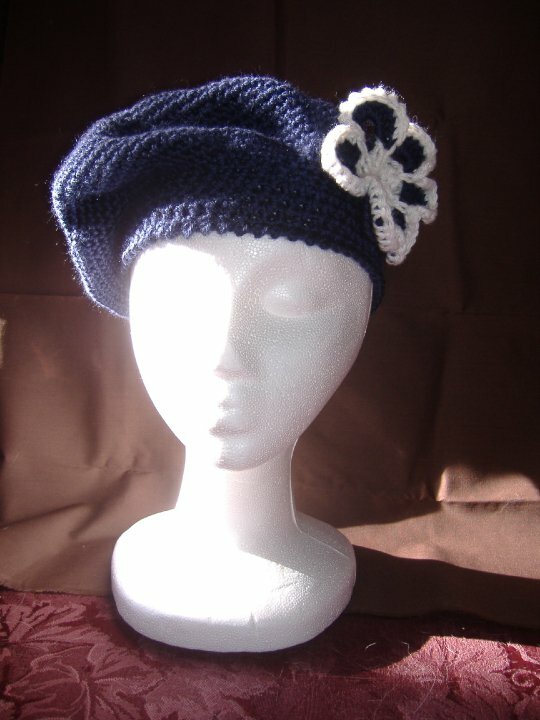 Any scarf or ribbon can be interchanged with this elegant cap to create different looks! 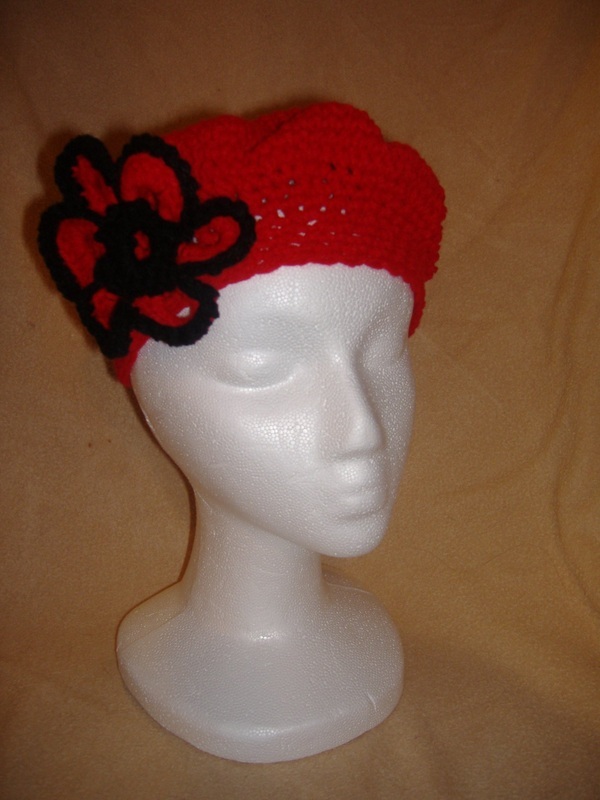 Simple tam/beret made from durable yarn, featuring a red dot in the center. Durable material & an embroidered sand dial design. Perfect to wrap up & decorate long hair. Features lacy netting in back. Child to small adult in size. Very soft, felted hat with a ruffling popcorn stitch brim. Child to small adult in size. Soft material, tight fitting. 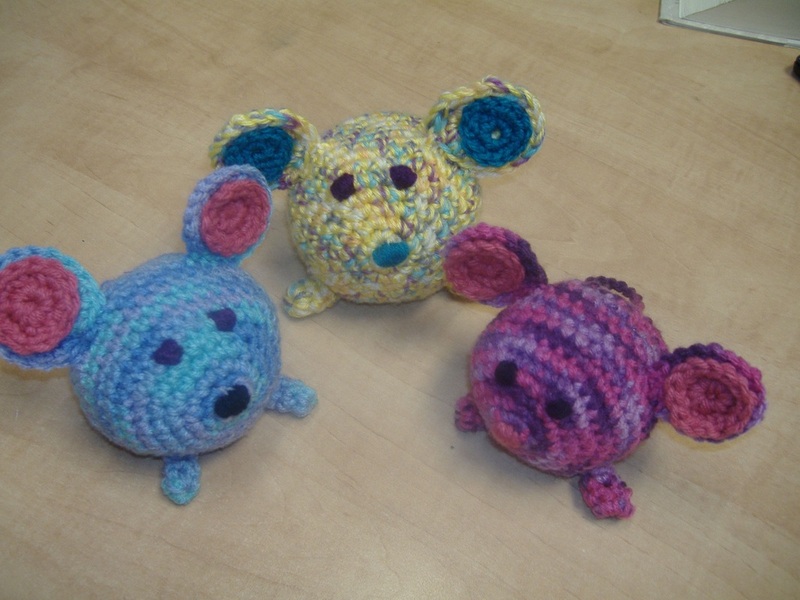 I sell pre-made crocheted items as well as custom orders. Pre-made items will take between 1 to 6 days to ship. Custom orders will take more time to fill and times vary depending on the item. 2-3 weeks is an estimate for most custom orders, but it could take longer depending on the complexity and size of the order. Communication through e-mail will confirm times and other specific information. Please, enter your contact information in the form below with your order and any questions. I will get back to you shortly. It has come to my attention that I am not notified by Weebly through e-mail when the contact form below is filled out. Because of this, please e-mail me at lizz2034@gmail.com informing me that you've filled out an order request, asked a question or contacted me for any other reason. Thank you. I will periodically check the website in case I've missed any one's message. Thanks!